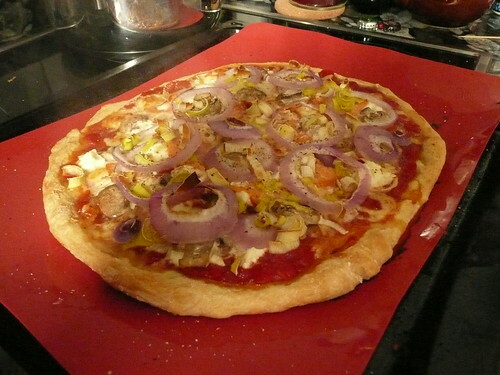 Toppings, proportions are up to you…if you want more of something, DO IT! 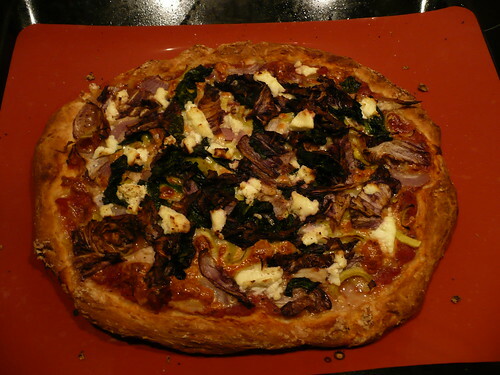 Combine ingredients for crust and knead, then let rise for about half an hour. smooth out until about 2 cm thick on backing sheet and bake for about 10 minutes. Remove, add sauce, cheese and then toppings. Bake 10-15 minutes, until cheese starts to brown a bit on top. Enjoy! 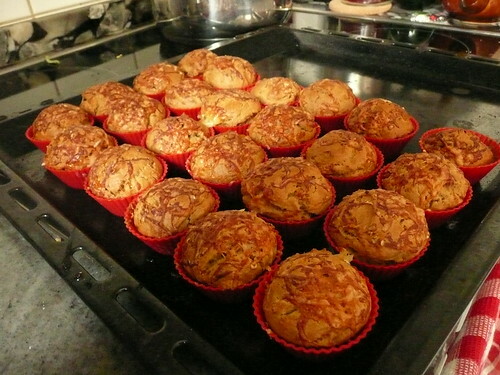 Ginger/cheese muffins. I can’t share the recipe because I got it from a German cookbook I have, and it’s neither mine to distribute, nor is it on the internet for me to share. If you do find a recipe for savory muffins using ginger and cheese though, I highly recommend it! 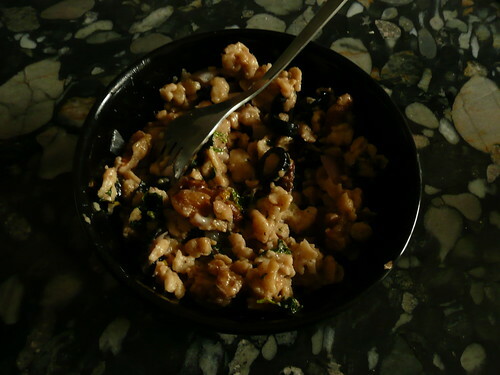 A spaetzle recipe I made up. I’ll post the recipe at some point, but I want to do a whole series or perhaps even a blog on spaetzle, so I need some time to develop more recipes! For now, I’ll say it was really tasty and if you really, really want the recipe now, ask me nicely in a comment with your email addy (or contact me if you know how) and I’ll give it to you! Beautiful photos. This really makes me want to smoke salmon and roll some pizza dough.